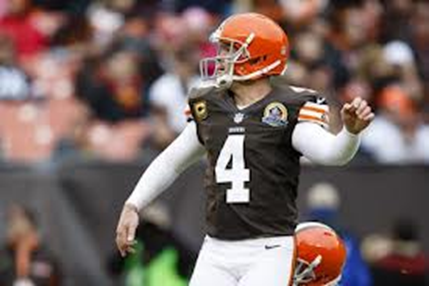 After yesterday’s loss to the Washington Redskins, Cleveland Browns veteran kicker Phil Dawson is now 26 of 27 on the season. Dawson also has 28 extra points on the season and has not converted just one due to a mishandled snap. Cleveland would be stupid not to re-sign the 37 year old. Through fourteen games, the former Texas Longhorn has missed only one field goal attempt and it was partially blocked anyways. In his career, Dawson has made 302 field goals, good for 906 points. When adding his 349 point afters, Dawson has scored 1,255 total points in his impressive career. Dawson is among the franchise's elite in points scored, ranked 3rd. So why again are the Browns going to let him walk away? With no question in my mind, Dawson is the best bad weather kicker in the history of the NFL. In Cleveland on the shores of Lake Erie, it is cold and windy. Cleveland Browns Stadium is arguably one of the worst places to kick. Yet, over and over again, Dawson navigates the swirling winds and finds the uprights with ease. Over the years, Dawson has single-handedly won football games for the Browns. Although there are many holes and needs to fill this off-season, owner Jimmy Haslam must make it a priority to keep Dawson in brown and orange. The only exception to the rule is if Dawson retires. Through 13 seasons, the Texas native has become a pro’s pro. Dawson gives back to the community and is a huge leader off the field. Regardless of age, no. 4 belongs in Cleveland and deserves to retire a Cleveland Brown. As the new ownership surges forward and competitive football is played, there isn’t any other player on the team that deserves to be a part of a Super Bowl run than Dawson.